In 1656, a planter in colonial Maryland tortured and killed one of his slaves, an Angolan man named Antonio who refused to work the fields. Over three centuries later, a Detroit labor organizer named Simon Owens watched as strikebreakers wielding bats and lead pipes beat his fellow autoworkers for protesting their inhumane working conditions. Antonio and Owens had nothing in common but the color of their skin and the economic injustices they battled-yet the former is what defines them in America’s consciousness. 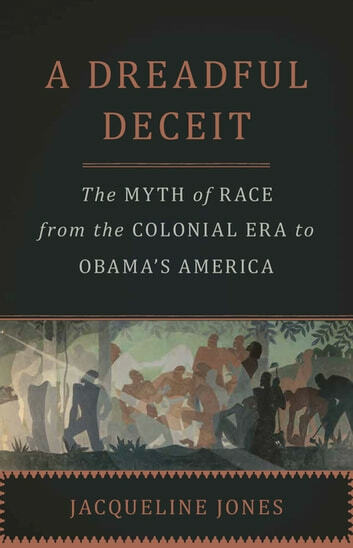 In A Dreadful Deceit, award-winning historian Jacqueline Jones traces the lives of these two men and four other African Americans to reveal how the concept of race has obscured the factors that truly divide and unite us. 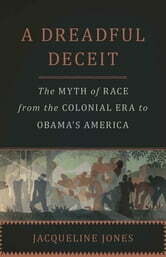 Expansive, visionary, and provocative, A Dreadful Deceit explodes the pernicious fiction that has shaped American history.